In the days before digital marketing – hard to believe, I know – this problem was incredibly difficult to solve. I was involved with B2C marketing in those days, and we developed a good understanding that consumers had pretty much no recollection of which communications had influenced their behaviour. Proving the point above. In these wonderful and enlightened days of digital marketing, the world has moved on. After all, we can now track all sorts of important metrics from traffic to time on site, bounce rates, pages viewed, open rates, click rates and so on. So, problem solved. Or maybe not. You see, many of the marketing teams I’ve met are working hard on the problem of RoI for good reasons. Sure, there’s a certain amount of budget justification, but the science of marketing evaluation should lead to campaigns of ever-increasing impact and return. In many cases though this is not the case, and in some cases their efforts have reduced RoI. At the heart of the RoI issue is another mantra; I’m sure you’ve heard of ‘What gets measured gets managed’. This is undoubtedly true, and the very fact that you are measuring something often has an impact in itself – the Hawthorne effect is well documented. The issue is when we pick the wrong indicators, or more often, when we pick useful indicators, but focus on them in isolation. Let me give you an example. For many marketing teams involved with candidate engagement, it is their job to deliver a stream of applicants to a recruitment team. They will be using a range of tools; different websites, email campaigns, SMS messages as well as physical events and off-line media. 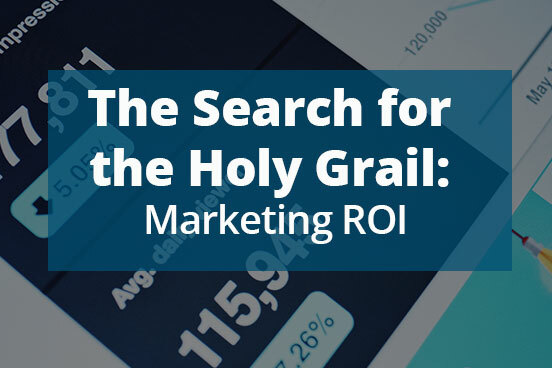 The most important measure of RoI is therefore applicant volumes right? Wrong. Totally wrong. is therefore applicant volumes right? When we consider the overall attraction and application process, the number of applicants is an interesting factor, but it is no more than that. What is far more important is that you have the right number of high quality, suitable applicants that go on to be successful employees. Applicants is interesting, but no more than that. In fact, if you become too focused on applicants, it can significantly reduce the overall RoI of the recruitment campaign. Campaign A wins every time? Certainly not. Let’s assume that you are attracting candidates for an assessment centre, so need 15 outstanding candidates. If both campaign A and campaign B deliver the same high-quality candidate pool of 15 applicants, campaign B has a much higher RoI. By driving 3,000 applicants, we need to go through the potentially expensive (and time consuming) process of screening and managing those applications. Sifting the best ones out – and that can be a time consuming, and therefore expensive, process. Those costs might not be in the marketing budget, but they are very very real. As are the human factors of error, candidate experience and so on. It’s important to understand then that any suite of KPIs or RoI calculation has to assess quality as well as quantity. That all costs associated with any campaign need to be considered. And that applicant volume, when taken alone, is one of the worst measures to look at. Of course the key to this whole area is the integration of systems; APIs have already started to make a big impact here and will continue to give marketing teams more and more opportunities for joining journeys and improving tracking. I should of course add that many of our great customers that use TheTalentPortal are able to assess their RoI by channel and campaign, including on and off line media. This enables them to make sure they fully understand quantity and quality of traffic, engagement and starts. By linking this to their MIS platforms, it is then possible to understand the entire recruitment and learner journey. And of course, the ultimate and real RoI question is completion rates and employee performance. With the use of APIs, this is now entirely possible - delivering the ultimate RoI on attraction and recruitment activity.